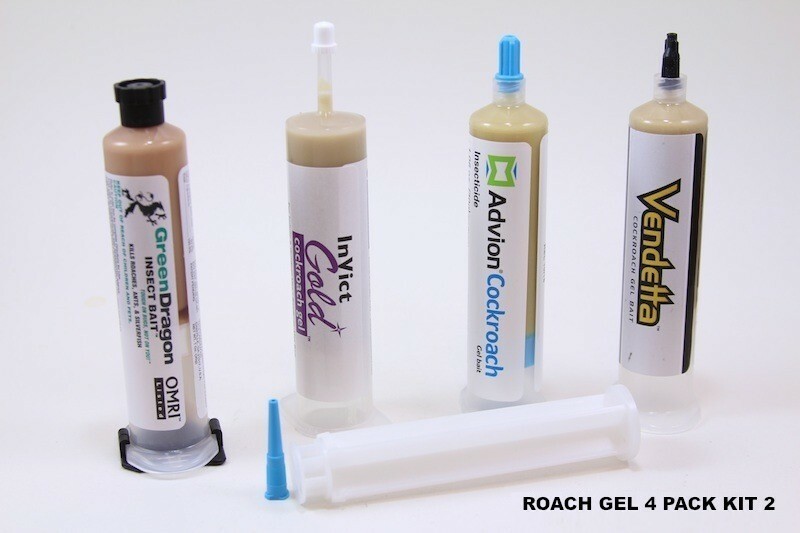 PRODUCT DESCRIPTION: Roach gels have a consistency that range from peanut butter to a "custard" texture like you'd find inside a doughnut. Once applied, they will dry just enough to maintain their shape without dripping. 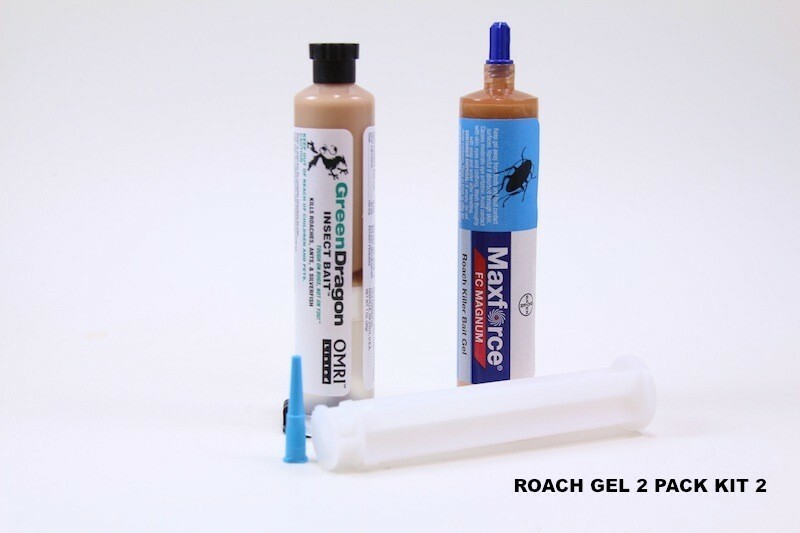 Roach gels are odorless and when applied properly, should be hard to see. Placements should be small – no larger than a grain of rice – and spaced 1-2 feet apart in the areas where roaches are active. 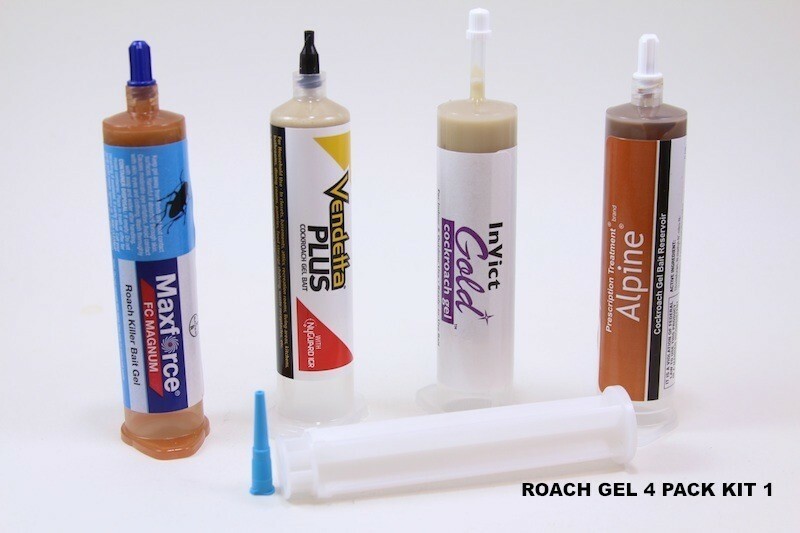 At this time we have many, many professional roach gels in the pest control industry. 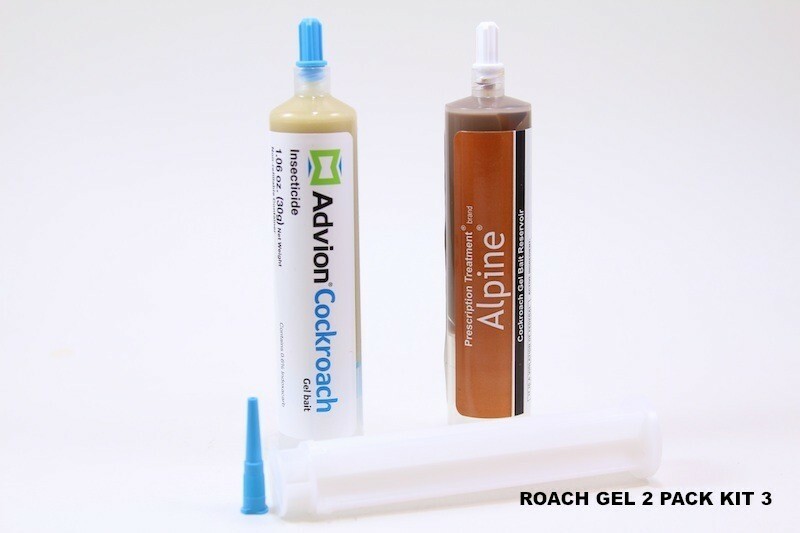 No doubt roach gels are the "go to" product when treating a cockroach problem. 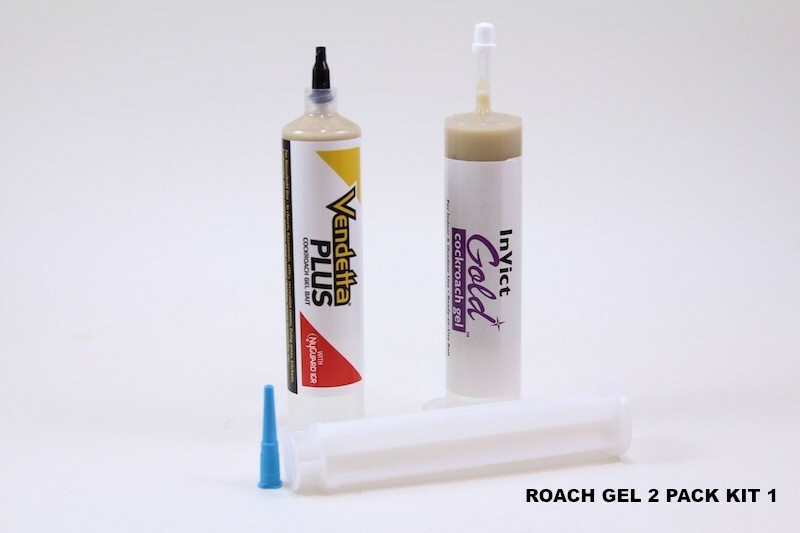 The main reason is roach gel can be applied safely in any environment.Unlike sprays, you don't have to empty cabinets or pantries prior to the application. But how to choose which brand to use? That's where we come in. No doubt the companies will tell you their brand is the "best". And when we test them, we have found they actually all work well. But after years of testing and gathering data, the one thing we've learned is the best overall strategy is to use at least 2 flavors. This insures fast acceptance, more of an impact and ultimately, faster control. For this reason, you MUST rotate roach gels offered. 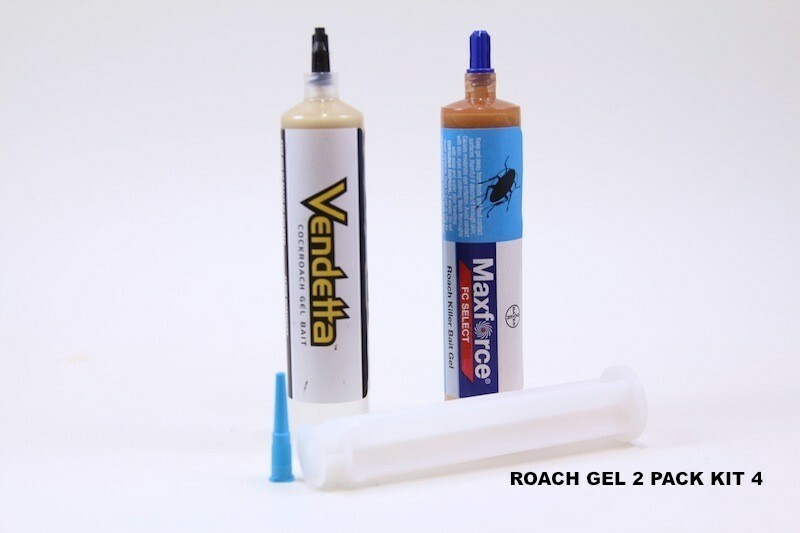 The biggest problem when using a roach gel is to use the same brand over and over. To avoid this problem, we offer our line of gels in convenient 2 packs and 4 packs. This way you can rotate your offering every time you order. WHERE TO USE IT: Make placements in cabinets, under shelves, in the pantry, under sinks, around the dishwasher or refrigerator and even in the oven door. Be sure to make 5-10 placements in any room or area where roaches are seen. HOW MUCH GEL SHOULD YOU APPLY? This varies with the level of infestation. For badly infested homes, apply at least 1/2 tube of 2 different flavors and followup 7-10 days later. That means you should use 2 oz (2 tubes) every 14 days. By the end of 30 days you should have applied 4 tubes but the good news is most of the problem will be gone. Still, stay the course the second month to control hatching eggs sacs and the problem should be gone within 60 days. 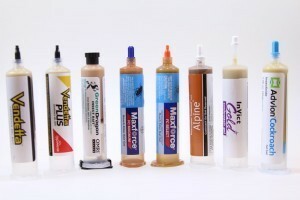 For mild to medium problems, 1/4 to 1/2 of 2 different tubes should be applied every 14 days. By the end of 30 days, the problem should be just about gone. 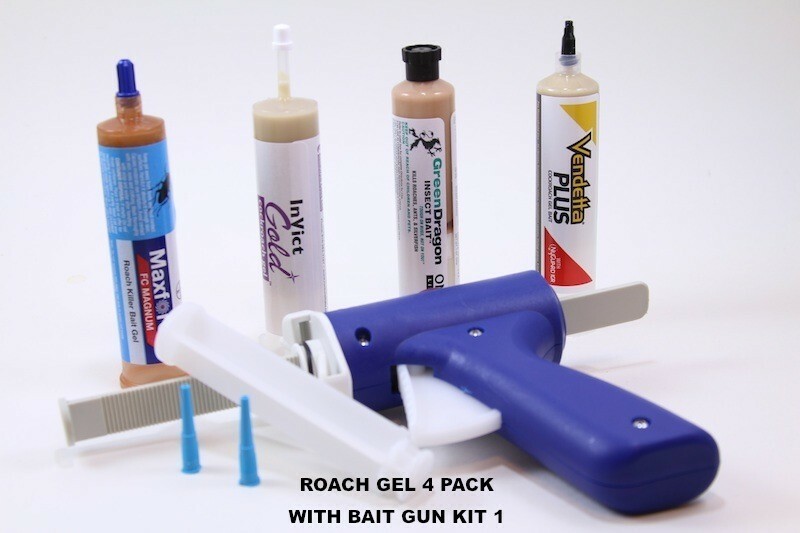 I ordered this product years ago for my granddaughter who had an infestation of German roaches. They were everywhere in her house. Within days, every one was dead! We were very impressed with how fast the product worked. It was easy to use. We put it on the sides of drawers in the kitchen and any place her dog and cat couldn't get to. Almost instant improvement! I have seen almost instant reduction in the number of live roaches and an increase in the number of carcasses. I used the Vendetta first and will follow up in about a week with the gold. So far so good! It works! 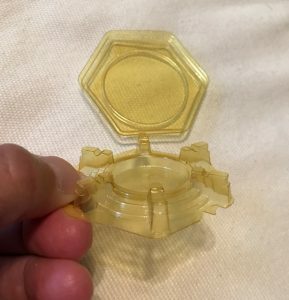 I have been pleased with the results of this item. The only problem is getting all of the gel out of the tube I had to use a plastic knife.